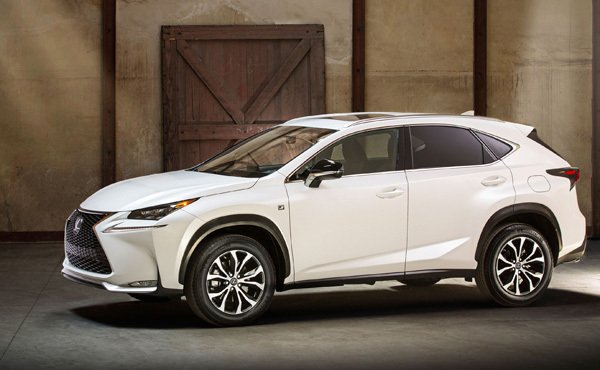 The leader in hybrid luxury, Lexus now crosses the bridge from luxury full-size vehicles to the compact segment. 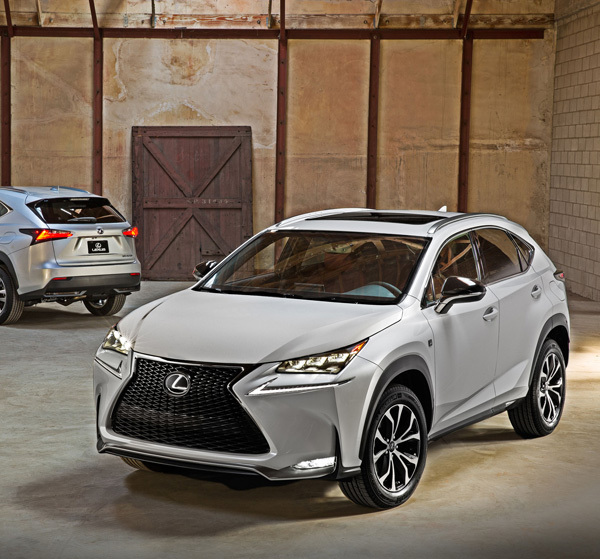 Their new family of compact SUVs (or CUVs in modern parlance), dubbed the NX, will be available with three power trains: the NX 200t turbo, the naturally aspirated NX 200 (with front or all-weather drive) and the highly efficient NX 300h hybrid. Among the NX family are many firsts for the Lexus brand, including the NX 200t which will be the first turbocharged Lexus ever. Other features include a Lexus-first door handle with a hidden key barrel and integrated lighting, boldly flared wheel arches with standard 17-inch or optional 18-inch wheels, Lexus’ signature ‘L’ shape combination lamps with seamless LED lighting, Wireless Charging Tray (another Lexus first), remote touch pad, Human Machine Interface (HMI) technology, Heads-Up Display, All-speed Dynamic Radar Cruise Control and Blind Spot Monitor with Rear Cross Traffic Alert. Although these early pics have leaked, the NX family will be officially revealed at the Beijing International Automotive Exhibition this Sunday, April 20.